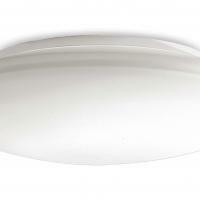 Finish: Back plate, powder coated gloss white. 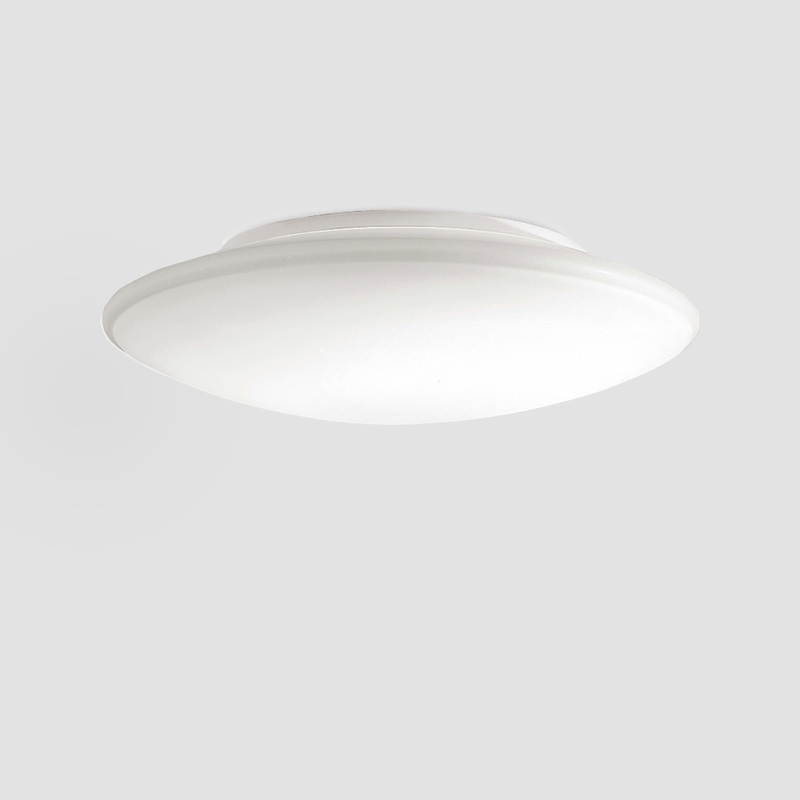 Diffuser: Three ply satin opal glass. 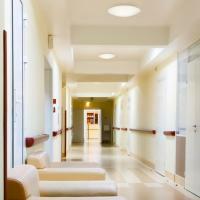 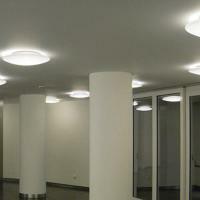 Luminaire orientation: Ceiling or wall mounted.